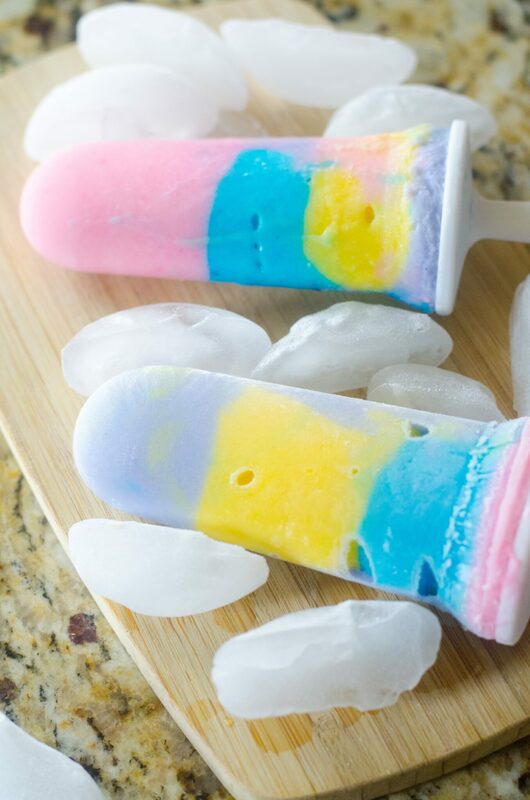 These Frozen Unicorn Pops are too cute. 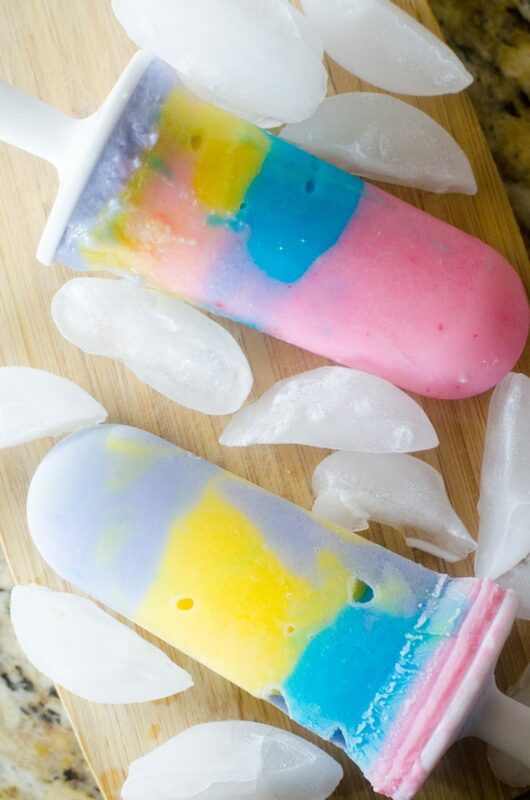 Not only are they cute, but they are also delicious and a healthier alternative to an ice cream pop. My children are always on an ice cream frenzy. That is when I decided to make these recently with them. I am sure glad that I did. Now I don’t even have to worry about them going in the freezer for a frozen treat. No more having to ask mom. 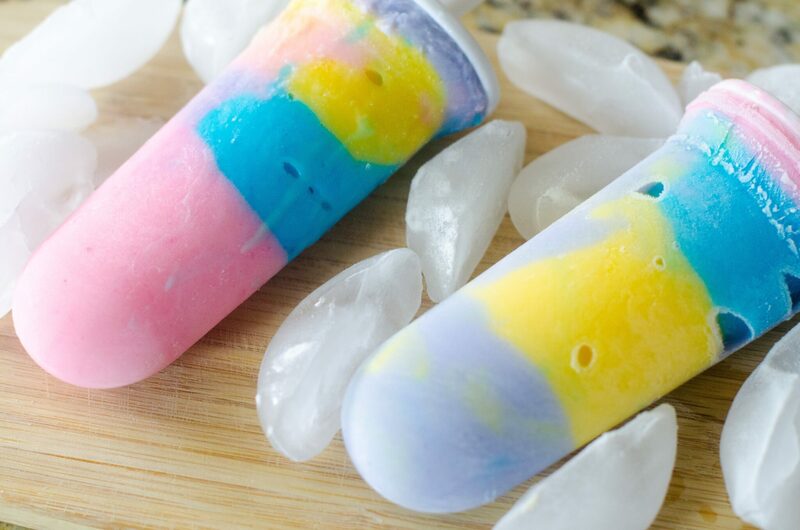 We simply made a bunch of these Frozen Unicorn Pops in bulk. Now when they want a treat, they go right to the freezer and no more arguing over who ate all the ice cream and the best part; no more messes. 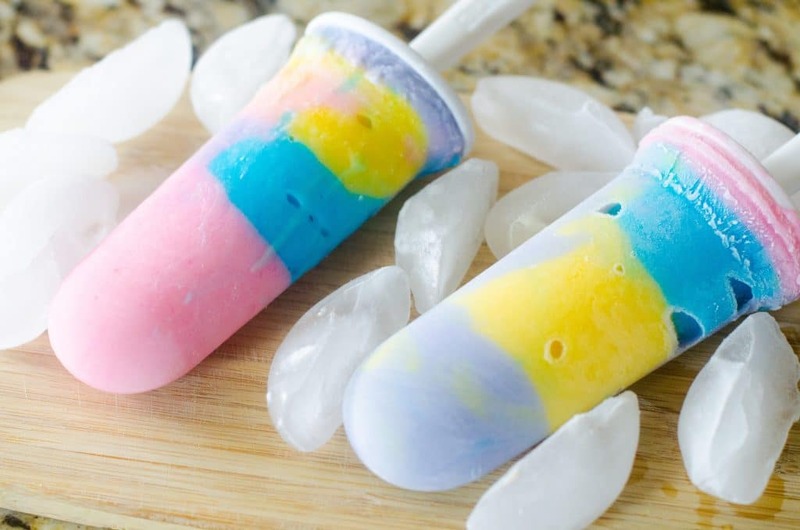 Regular ice cream, as you know when kids are scooping it out, they tend to get overly messy. They also end up putting too much in their bowls and then it goes to waste. With these frozen treats, there is no more of that. I personally think they are cute too. They are also simple to make. They literally take no time at all. Any child can help make these. 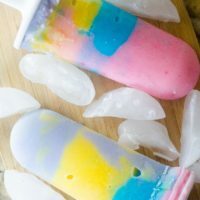 Not only do my kids and my family enjoy these Frozen Unicorn Pops, but my kids friends also love them. They come over and the kids show them off to their friends and then they sit down after swimming and eat them together on the back patio. I hope that you enjoy these like my family and friends do. 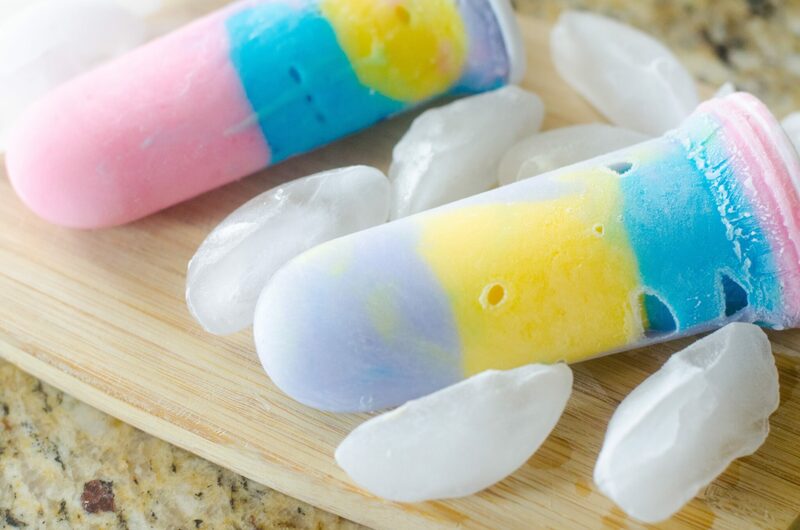 Will you be giving these a try to fill up your freezer? Did you already read through and make them for your family? If so, let me know below how they turned out for you and your family. Did you do anything else differently? Do you enjoy them as much as our family does? Come back and let me know. Enjoy! Below you will see a simple how to video! Place 1/2 cup yogurt into four bowls. In the strawberry yogurt mix in two drops of pink food coloring. 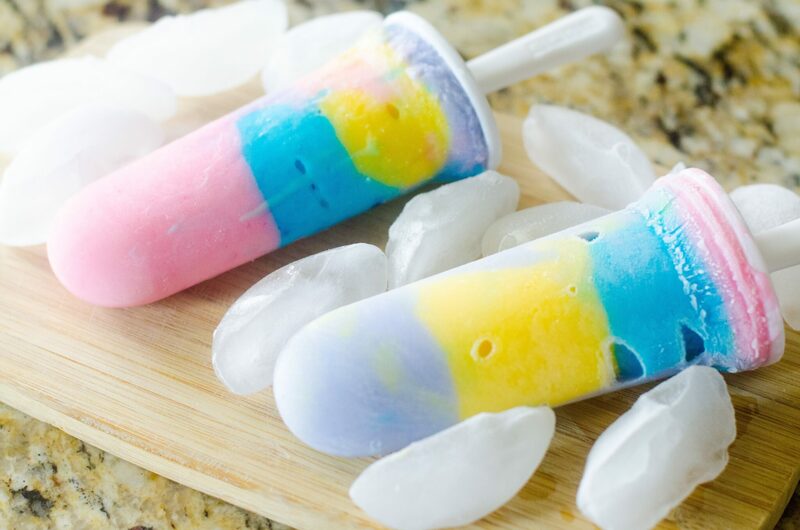 In each of the others place two drops of yellow, purple, and blue food coloring into each bowl. Mix well. Spoon a little of each color into each popsicle mold. Place in freezer for at least four hours or overnight.